We are often asked, “How can I start a professional Christmas lighting installation business”. 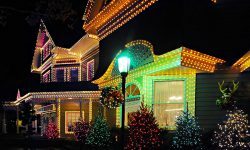 Many people find great enjoyment in installing Christmas lights and decorations on their own home or business and it’s not unusual to wonder how those of us that do make our living doing this professionally actually got started. Just about everyone in this industry has a similar story. 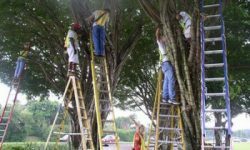 They started off small, lighting up homes for a few friends or family, one thing led to another and before long they were taking on more and more work. However, everyone you talk to in this business will also tell you how frustrating it was during the first few years trying to figure out how to build, manage and run their business. For every success, it seems like there’s an equal number of setbacks. To make the problems worse, it’s not easy to find reliable, accurate information to help you build a Christmas business. 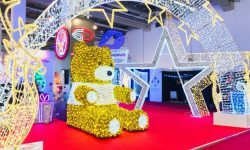 While starting a Christmas lighting and decorating business has tremendous advantages, there’s also a number of pitfalls that must be addressed in the early days of your business. These include dealing with seasonal employees, harsh weather conditions, access to quality Christmas lights and decorations, timely product delivery, and the difficulties of managing a very seasonal business. You’ve got two or three months to make enough money to keep you going the rest of the year! Ironically, despite the above issues, the main reason we see most Christmas businesses fail is not due to the problems listed above, but rather from having too much work coming in. This is hard for people outside of this industry to grasp, but it is true, having too much work has caused more Christmas installation businesses to fail than probably any other single issue. The main reason for this is because as a business owner, you are dealing with a very small window of opportunity to get all the lights and decorations installed. December 25th is coming on the same day no matter what. If you are running behind on installations and you’ve taken on more work than you can do, there’s nothing that can be done except face some very upset customers and explain to them that they won’t have their lights or decorations installed in time for the holidays. We’ve found that customers get very emotional when it comes to Christmas lights and décor. When a business can’t meet or exceed their customer’s expectations, word gets out very quickly. This no doubt will result in complete ruin for a new business desperately trying to make a name for themselves in this industry. 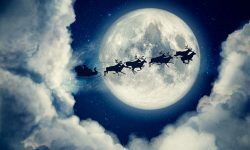 Managing your growth is a top priority for any new Christmas business and there are a number of things that can be done to help you grow at a steady pace without spinning out of control. The first step is to build a strong foundation before you ever install your first set of lights. Have plans in place as to how you’ll manage your business, hire employees, screen for the best workers, source top quality products, install the lights and decorations, service the jobs after they've been installed and then finally take everything down and prepare for the next season. Don’t forget that even once the job is installed, there’s still plenty more work to do. Keeping the lights and decorations in working condition can be just as time consuming as the initial install. 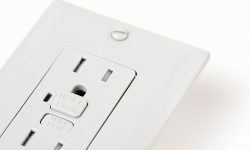 Many pro Christmas newbies are surprised at how many small details go into preparing for each season and how many hidden challenges pop up unexpectedly throughout the short installation window each year. As has been said many times, it’s always those things that you didn’t prepare for that will get you in the end. Planning and organization is the key to building a successful Christmas installation company. Because we’ve seen firsthand the challenges that new business owners face when starting their own Christmas business, we’ve developed a comprehensive book to help anyone interested in starting either a part time Christmas business or a full, year round operation get started. 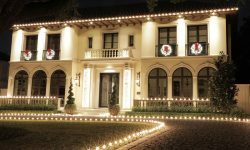 Starting Your Own Christmas Lighting and Decorating Business is based on our more than 30 years in the commercial and residential Christmas lighting and decorating industry. With over 225 pages and 150 full color images, it will help you shave years off the time it takes to create a successful pro Christmas business. No other Christmas business book or source is as comprehensive or complete. Take a look at the link below for more information and a detailed overview of the great tips, tricks and info inside the book.